Jen & Kellee are the hostesses with the mostesses of this awesome meme! Last week looks like a slow week...was it the holiday? Or was I just reading big books? I'll admit that I struggled with Ghost Story. I love The Dresden Files series but I kept finding myself putting this book down, grabbing my phone, and browsing Twitter. It finally hooked me and then it was easy to get through. I had waited a long time to read it because of lack of availability at my library. I finally figured out their copy was stolen and asked for them to reorder a copy. I LOVED both Every Day and The Raven Boys. Wow. I'll be purchasing both for my school library and booktalking them in the fall. I did read several picture books with my son, but I don't put those on GoodReads because I don't use them with my students. He's partial to BumbleBee Boy right now! I also need to dive back into my stack of Eliot Rosewater Wannabe's that must be read and rated before September. Argh! Feel like I haven't been reading enough for Team Librarian! If you like Between the Lines, you might pick up Townley's The Great Good Thing, which is my favorite about a book that comes to life! Ms. Yingling I think you're leading the team in most books read! Katya, I thought The Raven Boys was better than Scorpio Races! You officially win for making me the most excited about a book today- I had no idea that Tale Dark and Grimm had a companion coming out!!! I cannot wait to read it! I also am excited about the Stupid Fast sequel and am a bit intrigued about the Jodi Pocoult YA book. I win?! YES! :) The companion book is amazing. My 10 year old daughter read it first since Every Day arrived with it and then Raven Boys came right as I finished that. She loved it. I'm loving it too! 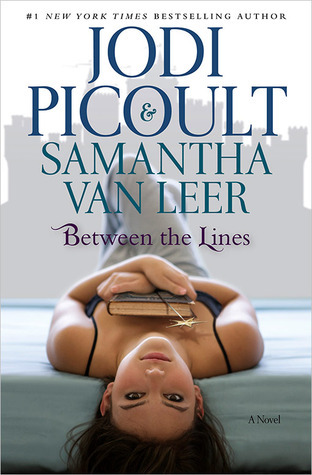 I've heard a lot of good things about the Picoult book...I love a good fairy tale! 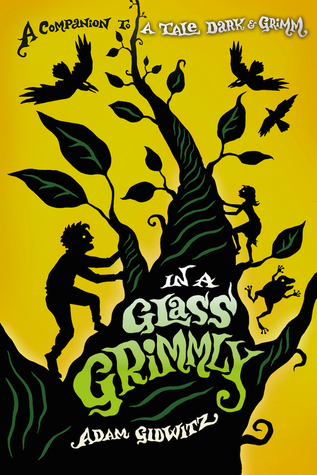 In a Glass Grimmly was so much fun! It was similar but definitely different from Tale Dark and Grimm. Hard to compare them because they really are different. I think I liked Tale Dark and Grimm more...but this one was also fun. I have a strong feeling that I need to read more David Levithan. I have loved everything I have read by him so far but I think I need to read more!